The quintessential Christmas man of mercy. That, of course, is the standard greeting for December 25th and the surrounding days. And we should use it—whether the “politically-correct crowd” likes it or not! Who cares what they think anyway? But there’s another greeting we could share with people at this time of year that would be equally as valid and just as meaningful as Merry Christmas. This is a greeting, by the way, that I think our Holy Father, Pope Francis, would especially like. The greeting is: Mercy Christmas. May you have a Mercy Christmas. The Holy Father would like that greeting—especially this year—because, as many of you know, he’s declared the period between December 8, 2015 and November 20, 2016 to be an “Extraordinary Jubilee [Year] of Mercy” in the Church: a time for people to reflect on—and even more importantly a time for people to experience on a personal level—God’s saving mercy. Now if you were here at Mass on the Second Sunday of Advent you’ll recall that I said I think the Holy Father is “right on” in declaring this holy year, because if there’s one thing our world is in desperate need of at the present time it’s mercy. People need to receive mercy, and they also need to be willing to extend mercy to others. And, as I said on that Sunday, this is not just pious talk. There’s a lot at stake in all this. We can either choose to heed the call of Jesus and the Holy Father by seeking mercy for ourselves—and by making the effort every day to show mercy to our brothers and sisters—or we can choose to do our part in helping to fashion a world without any mercy. And if you want to know what that kind of world would be like, look at ISIS (the Islamic State)! The hate-filled terrorists associated with that diabolical organization are people who live in a world without mercy—a world that they want all of us to be part of. Needless to say, that’s a very dangerous and a very scary world to live in—which is why it’s so important for us to internalize this message of mercy during the coming year and put it into practice. But what does this have to do with Christmas, Fr. Ray? Which is precisely why wishing people a Mercy Christmas is so appropriate. No! It was exactly the opposite! He sent his Son as an act of MERCY! He sent his divine Son into the world because we are sinners in need of deliverance: we need deliverance from the eternal consequences of the bad things that we freely choose to do in our lives! Jesus was sent to us in mercy—and he came to bring us mercy. Whether we actually receive that mercy, however, is up to us. It’s our decision. I need to recognize what Jesus Christ did for me by coming into this world 2,000 years ago, and by suffering, dying and rising from the dead. In other words, I need to come to the recognition of what Jesus did to make mercy available to me. I also need to recognize the fact that I, personally, need mercy—that I’m not perfect—that I have things in my life that need to change. And, finally, I need to recognize the fact that I am capable of receiving mercy—that mercy is a possibility for me—regardless of what I’ve done. Now that’s a tough one for some people, who’ve managed to convince themselves that they’re beyond the reach of God’s forgiveness and mercy—even though they’re not. But recognition is not enough. For the reception of mercy, repentance needs to be added to recognition. Yes, I need to recognize what Jesus has done for me—and that I’m a sinner—and that I can be forgiven for my sins; but then I need to open myself up to that forgiveness and mercy by actively repenting of those sins. The best place to do that as Catholics, of course, is in the confessional. And if we’ve committed a serious sin, it’s not only the best place to repent; the confessional is also the NECESSARY PLACE to repent! Which brings me, in conclusion, to the quintessential Christmas man of mercy, who helps to bring all of this together: Ebenezer Scrooge. 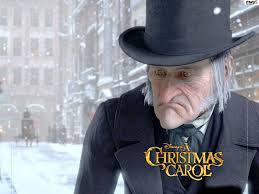 Some people might think that the story of Scrooge is first and foremost a story about greed—but that’s wrong. First and foremost, it’s a story about mercy! When it begins Ebenezer Scrooge has what can best be described as an "ISIS mentality”. That is to say, he has no mercy—no mercy for Bob Cratchit; no mercy for Bob’s family; no mercy for his nephew, Fred; no mercy for the poor in his community and for the people who are trying to help them—no mercy for anybody! He’s changed, of course, by the revelations of the three ghosts who are sent to him on Christmas Eve: the Ghost of Christmas Past, the Ghost of Christmas Present and the Ghost of Christmas Yet-To-Come. Out of mercy, he is given the second chance he desires. And he responds to that gift by becoming merciful to others (to all those people he had been unmerciful to before). And the change isn’t temporary; it’s permanent. Scrooge becomes a man of mercy for the rest of his life. The word merry means cheerful. Well, as we all know, there are many people in the world each year who find it very difficult to be cheerful at Christmas because of the trials and difficulties that they’re dealing with in their personal lives. Consequently, not everyone is able to experience a Merry Christmas. But everyone, without exception—this year and every year—can experience a Mercy Christmas—no matter what they’re dealing with. Which is great news, my brothers and sisters, because in the long run experiencing a Mercy Christmas is much more important than experiencing a Merry one. And if you don’t believe me, just ask Pope Francis—or Ebenezer Scrooge. I feel that the greatest destroyer of peace today is abortion, because it is a war against the child, a direct killing of the innocent child, murder by the mother herself. And if we accept that a mother can kill even her own child, how can we tell other people not to kill one another? And so I’m sure that Mother Teresa, if she were still alive on earth in 2015, would not be surprised at all by things like the terrorist activities of ISIS, and the selling of fetal body parts by the people at Planned Parenthood—and the warped journalists in the mainstream media who have the audacity to defend what Planned Parenthood has done (all in the name of “science” of course!). Nor would she be startled by TV programs like ABC’s “Scandal”, where, in last month’s season finale, a woman had an abortion while “Silent Night” was being played in the background! I mention all this today, not to depress you right before Christmas, but rather to accent the importance of Christmas! As Catholics we stand for life—natural life and supernatural life. ALL LIVES matter to us, because all lives matter to God, who sent his divine Son into this world: preparing a body for him (as it says in today’s second reading from Hebrews 10), so that he could offer his life in sacrifice for our sins and make heaven possible for every human person—including great sinners (like the doctors who perform abortions and the people at Planned Parenthood who sell them). Provided they sincerely repent, even they can be forgiven, even they can experience eternal life in the Lord’s kingdom. That fact needs to be emphasized, especially in this Year of Mercy. The “they” in that verse means “everyone”. 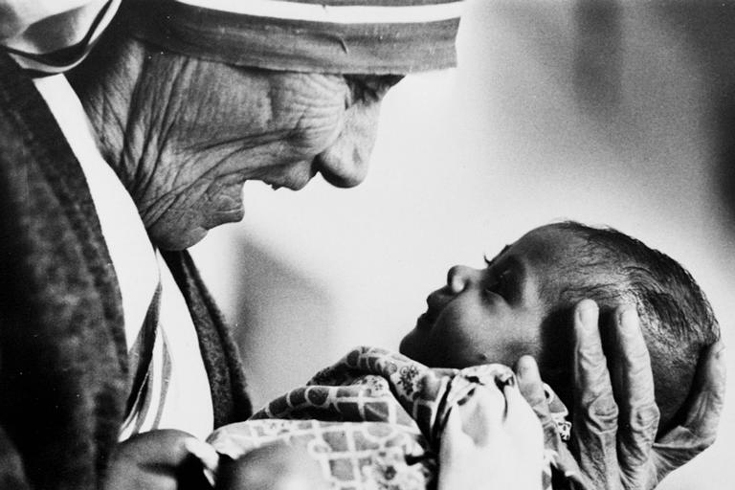 In opposition to the Planned Parenthood, pro-choice crowd, today’s gospel presents us with two great pro-life women: women who, like Mother Teresa, understood—and witnessed to—the sanctity of human life in its earliest stages. 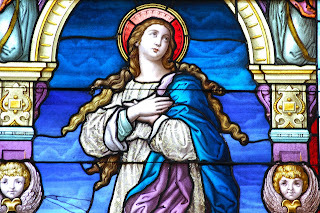 I’m talking, of course, about Elizabeth (the mother of John the Baptist), and Mary, our Blessed Mother. And don’t you find it interesting?—both of these pro-life women had very good reasons to be otherwise; both had very good reasons to abort their babies (at least that’s what pro-choice politicians and the people at Planned Parenthood would tell us!). Elizabeth, first of all, was an old woman. Don’t they tell us that the risks of being pregnant increase as a woman gets older? And how were she and Zechariah supposed to care for a little baby when, in their advanced years, they would obviously need extra care themselves? And isn’t that probably the reason why Mary went to visit her cousin in the first place? It was because she knew that Elizabeth would need extra assistance just to make it through her pregnancy! Can you imagine how the death-dealers at Planned Parenthood would have counseled Elizabeth and our Blessed Mother if they had had the opportunity? Thank God they weren’t around in the first century! Even if they had been around, it wouldn’t have mattered. It wouldn’t have mattered at all! All the misinformation, all the lies, all the clichés they would have shared with Mary and her cousin would have fallen on deaf ears. These two women knew the truth—they knew the will of God—they knew what was right—and they acted on that knowledge, even when it involved doing things that were difficult (things like assisting an elderly, pregnant relative when you’re going through a pregnancy yourself!). respect for and love toward the most innocent and helpless people among us: babies in the wombs of their mothers. This we ask through Christ our Lord. Amen. 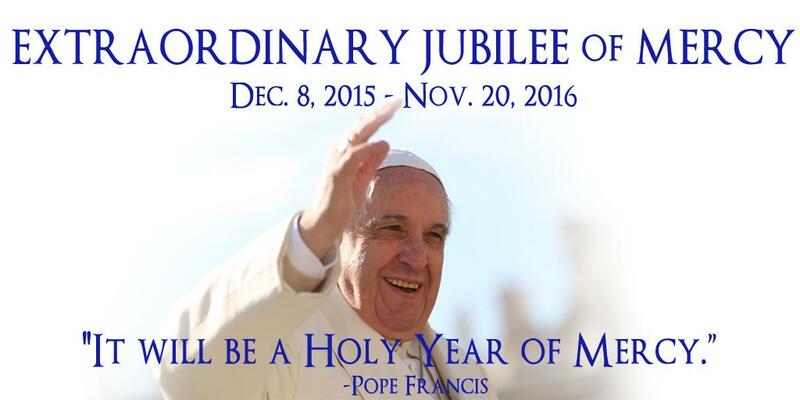 Today we officially begin the Extraordinary Jubilee Year of Mercy. I would say that most people tend to think of mercy as a response that we give to sin and to hurtful behavior: Someone offends us in some way, and in the spirit of Christian charity we respond with mercy by making the choice to forgive the person. And that’s true! To extend forgiveness to another human being—especially if that person has not apologized for what he or she did to us—is an act of mercy. But there’s another dimension to mercy that I want to focus your attention on this morning besides forgiveness. And this ties in to the feast we’re celebrating in the Church today, the feast of Mary’s Immaculate Conception. That’s the lesson: Mercy prevents. Mercy prevents (or at least it seeks to prevent) things that are not the will of God for people. This is an idea that actually stands behind what we call the corporal and spiritual works of mercy. Hopefully we know at least some of these and are trying to put them into practice—as Pope Francis says we should, especially during this Jubilee Year. The corporal and spiritual works of mercy are all about prevention. Which is also what Mary’s Immaculate Conception of our Blessed Mother was all about! 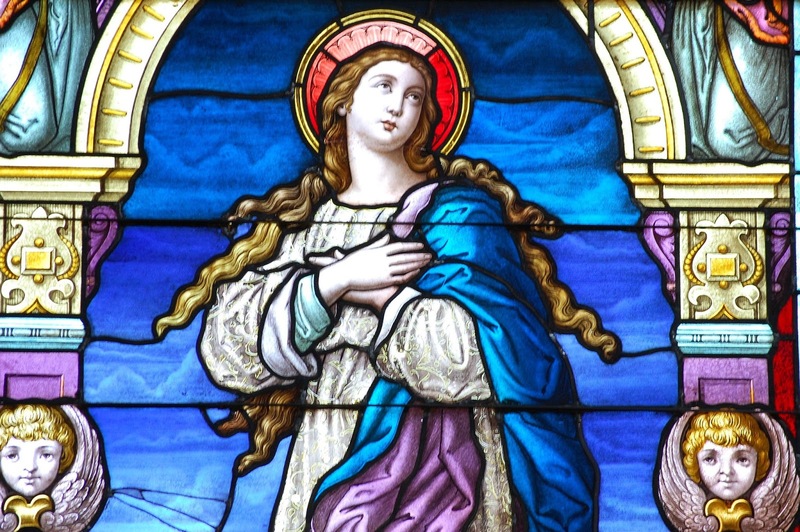 Remember, the Immaculate Conception does NOT refer to the virginal conception of Jesus in the womb of Mary—which is what many people mistakenly believe. The event that led to Jesus’ conception is called “the Annunciation” (which was today’s gospel reading). Or, to put it another way, God, in his mercy and by a special grace, prevented Mary from contracting original sin. God’s act was an act of “prevention”—and because of that act Mary became a fitting vessel for the Savior to come into the world. God did not choose to prevent us from experiencing original sin (unfortunately! ), but, by living our faith and performing the corporal and spiritual works of mercy we can prevent ourselves—and others—from experiencing some of the negative consequences of sin. Actually, that’s a great thing! 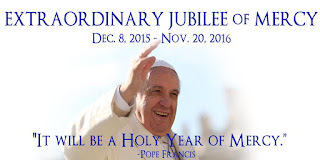 Our Holy Father, Pope Francis, has declared the period from December 8, 2015 to November 20, 2016 to be an “Extraordinary Jubilee [Year] of Mercy”. (Deacon Fran spoke about this in his homily last weekend.) Normally Jubilee Years happen every quarter century (the last one occurred in the year 2000 under Pope St. John Paul II), but Pope Francis decided that we couldn’t wait that long. He believes that we need one right now, ten years early (which is why it’s called an “Extraordinary” Jubilee Year). And I think that the Holy Father is “right on” in his assessment of the situation. You know, if there’s one thing our world is in desperate need of at the present time, it’s mercy. People need to receive mercy, and they also need to be willing to extend mercy to others. And this is not just pious talk. There’s a lot at stake in all this. We can either choose to heed the call of Jesus and the Holy Father by seeking mercy for ourselves—and by making the effort every day to show mercy to our brothers and sisters—or we can choose to do our part in helping to fashion a world without any mercy. And if you want to know what that kind of world would be like, you only have to do one thing: look at ISIS (the Islamic State)! The violent, hateful actions of the terrorists associated with that diabolical organization are the violent and hateful actions of people who live in a world without mercy—a world that they want all of us to be part of. Needless to say, that’s a very dangerous and scary world to live in—which is why it’s so important for us to internalize this message of mercy during the coming year and put it into practice. Mercy was offered to people through John. Mercy is offered to us through the Church, and especially through the sacraments of Baptism and Penance. Hopefully some of them listened. I need to recognize what Jesus Christ has done for me by his passion, death and resurrection. In other words, I need to come to the recognition of what Jesus did to make mercy available to me. But recognition is not enough. It’s essential, but not sufficient. For the reception of mercy, repentance needs to be added to recognition. Yes, I need to recognize what Jesus has done for me—and that I’m a sinner—and that I can be forgiven for my sins; but then I need to open myself up to that forgiveness and mercy by actively repenting of those sins. The best place to do that, of course, is in the confessional. And if we’ve committed a serious sin, it’s not only the best place to repent; the confessional is also the NECESSARY PLACE to repent! Almost all the pundits on the cable news networks are constantly talking these days about ISIS, and the threat that that particular organization poses to us and to most of the rest of the world. What is it going to take to get rid of ISIS?—usually that’s the question they’re trying to answer. From all indications, a strong military response is going to be necessary to accomplish the goal—and not just from our military, but also from the militaries of other countries throughout the world. But getting rid of this one terrorist organization, as necessary as that is, does not address the problem at its root. The terrorists of ISIS, as I said earlier, reject mercy: that’s a core tenet of their perverted philosophy. But that means that EVERYONE in the world right now who buys into the same philosophy and rejects mercy is also contributing, indirectly, to the problem at its root—even if they have nothing to do with any terrorist organization. They have what you might call the “ISIS mentality”—which is fueled by hate and by a desire for revenge. This is the mindset, incidentally, that stands behind many acts of domestic violence and road rage, as well as some of the recent attacks we’ve seen in our country against police officers. As individuals we don’t have the power to destroy the ISIS organization itself (unless we’re a member of the U.S. Military), but we do have the power to do our part to help destroy the “ISIS mentality” in our world—which is just as important. We do that by first receiving the mercy of God ourselves—and then by showing that mercy to other people. May that be our goal for the upcoming Jubilee Year—and every year thereafter.